OK, so, first, I’m thrilled to tell you that the talk I recorded for Kelly’s conference has been accepted! Yay! I’m part of the speaker’s library that attendees will have access to! What is this conference, you might ask? Kelly has created a conference for Catholic parents of kids with special needs, called “Accepting the Gift.” You can attend in person, OR (and I love this part), you can attend virtually! How cool is that? So if you can’t make it to New Jersey, you can still attend! Here is the conference page, so check it out! And do attend! OK so yeah, it’s deluging here right now. Lots and lots and lots of rain being dumped on Orchard House at the moment. I overslept this morning and this is probably why, because it’s really dark outside. Not that I mind—I generally like rainy days. Today is part of the editing process in the writing of the book. My editor has sent me chapters back, and now I go through and play with them and see what I can do to make them better. Some of the changes I just accepted on the first go round because they were easy (like, adapting to the press’s style guide) or just made sense. Bigger changes require more thought and distance, so that’s what I’m doing today. My birthday was on Tuesday, so I’m thirty-seven now! And it was a gorgeous day, which is rare in central Ohio in early April—it snowed on my birthday (as in the day I was born). But yesterday it was 82 and kids were in the pool, which made me shiver just seeing them in there, because that water was going to be cold! ANYWAY (digression over! ), it was a good birthday with sun and good food. I also think that everyone should like their birthday. Because birthdays mean you survived another trip around the sun! Yay!!!!!! Birthdays are great! I mean, yeah, I’m thirty-seven, but to me, that’s sort of awesome. I wasn’t supposed to hit thirty-three. I wouldn’t have seen twenty-seven without Suzanne, my donor. So, yeah. Birthdays rock. So, first, the Penguins are in the playoffs for the thirteenth year in a row. This makes me happy. And about the button. It says “Italians for President Nixon.” Now, obviously, I wasn’t alive to vote for Nixon. But one of my best friends, Branden, is an auctioneer (as well as about 5 million other things, including our county clerk), and he loves political memorabilia, so he thought I’d like it, since I’m half Italian. And I do like it. It’s funny. The big pink piece of paper is an audience ticket my friend Amilia gave me. She was lucky enough to attend a general audience with Pope St. John Paul II, and she gave me the ticket. You can tell I’ve had it FOREVER, it’s all sun bleached, but I love it. The dog picture? That’s Liberty, who used to be Colonial Williamsburg’s mascot. I was so psyched to meet her when we visited two years ago! She was such a good dog! So I’ve sent chapters 1-4 to my editor. She has sent me edits for chapters 1-2. So we are really making progress! Yayyyy! I came home from grocery shopping yesterday and found a box against my door. This is the box that holds my contract, as well as some AMP swag (yay swag!) and other notes that are important in the Writing of The Book. I still really can’t entirely believe this is happening. And yes, the book is being written. The contract will be signed and mailed today so yay! I have a book contract. 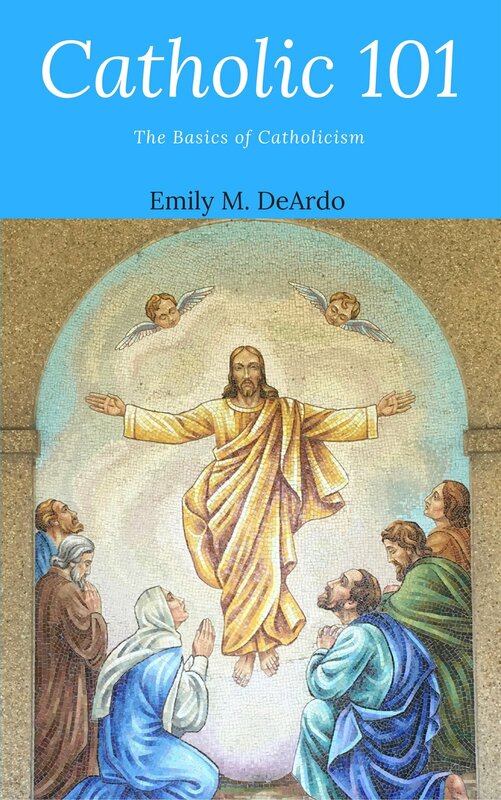 I’m going to write a book for Ave Maria Press, uniting my story with a Way of the Cross. The book is tentatively titled The Way of Your Cross, and it’s devotional in nature. It’s going to incorporate Pope St. John Paul II’s Salvific Doloris (On the Christian Meaning of Human Suffering), Scripture, all sorts of stuff. I am thrilled to death. And also flabbergasted. And….just amazed. It’s sort of like the world’s best caffeine high. I’ve been going around the world like Belle in the bookshop. I mean, it’ll be a real book! On REAL SHELVES! That people can REALLY GO TO A STORE AND BUY! I can’t quite process this. The book will be for sale next Lent, we’re hoping. That’s the goal. Now I have to write the thing. Obviously I will keep you updated! If you want to know about book stuff FIRST, then please sign up to follow the blog, so you get all the news first! Thank you for all the support and prayers, everyone! It means the world to me!